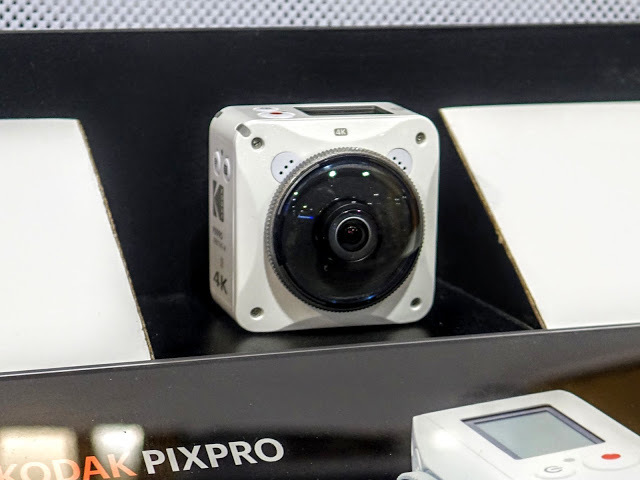 Into Tomorrow interviews Kodak’s VP for Sales and Marketing Paul Meyhoefer about the Orbit360 4k, Kodak PIXPRO’s new 360 camera (hands-on preview here). In the interview, Mr. Meyhoefer explained that Kodak PIXPRO believes that 360 cameras are taking off. Last year, they released the Kodak SP360 4k Dual Pro (first impressions here), which was designed more as a prosumer camera. With the rising popularity of 360 cameras, they wanted to target the Orbit360 toward consumers. Among other things, this means simple operation. As stated in the interview, Kodak is releasing the Orbit360 in Q1 of 2017. Mr. Meyerhoefer believes they will be shipping toward the end of February. In the meantime, you can sign up to be notified of their preorder here. I’ve preordered it and will be posting my review as soon as possible, including a comparison with the SP360 4k Dual Pro, and other 360 cameras such as the Ricoh Theta S (reviewed here), Samsung Gear 360 (reviewed here), and Nikon Keymission 360 (reviewed here). If you’re interested in the Orbit360 4k, please join the Orbit360 users group on Facebook, where I will be posting all Orbit360-related info. I am curious to see how the seam is stitched and also whether there is a perceptible difference between the two lenses. #TECHNIQUE: Girl enters her dollhouse using a Ricoh Theta!